a man who complained to ICBC that his injuries are so severe after his MVA that he couldn’t even help his wife with simple household chores and was later caught by investigations lifting box after box of heavy floor tiles at his work site. A denial of a man’s claim that was struck by another car. His dash cam revealed that he had lied about driving and was actually riding shotgun with an unlicensed driver. A man who pretended to be on a transit bus that crashed. Security camera’s later revealed he was never on the bus. (He was later fined and spent a night in jail). ICBC takes in about 90,000 claims each year and about 7,500 files are sent to a fraud investigations unit. Of those, on average of about 100 actually result in court convictions. It is important to read ICBC’s statistics with caution. 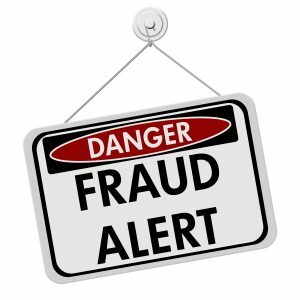 “Fraud” or “exaggeration” is not defined. Exaggeration could range from simply embellishing an ache or pain or to actual criminal fraud. Many times a fraudulent claim is simply denied at the outset. Personal injury lawyers also play a part by weeding out fraudulent claims and refusing to take on clients who may be committing fraud. As ICBC would like you to believe, fraud is responsible for driving up the costs of vehicle insurance. However, what is not reported is how much ICBC spends on private investigators. Often in the course of a contentious court case, ICBC hires private investigators to observe a plaintiff for incriminating footage. Recently in Norris v. Burgess, 2016 BCSC 1451 ICBC spent $23,000 for surveillance videos of a plaintiff. Some of the footage they collected supported the plaintiff’s injury claim and hurt their own case. The footage was disclosed late into trial and ICBC’s conduct in the late disclosure amounted to the plaintiff being awarded in special costs of $155,340.86. In Williams v. Gallagher, 2015 BCSC 1776 ICBC employed private investigators to capture over 100 hours of footage, which didn’t generate any evidence that the plaintiff was engaged in fraud or acting inconsistent with his injuries. The costs associated with the collection of that footage was not disclosed. In Sirak v. Noonward, 2015 BCSC 274 ICBC employed four investigators to spent 180 hours conducting surveillance and testifying at trial. Madam Justice Warren found the video footage supported rather than hindered the plaintiff’s claim. While it is true that some element of fraud is responsible for rising insurance costs, it is not as pervasive as ICBC would lead you to believe. By focusing on fraud claims as the driving force, ICBC is underplaying the needless amount of money squandered on hiring private investigators to downplay a plaintiff’s claim.